The kids and I made some cute little xylophones recently. I bought a bag of rainbow Twizzlers awhile ago and have been trying to think of something fun to make with all the rainbow colors. 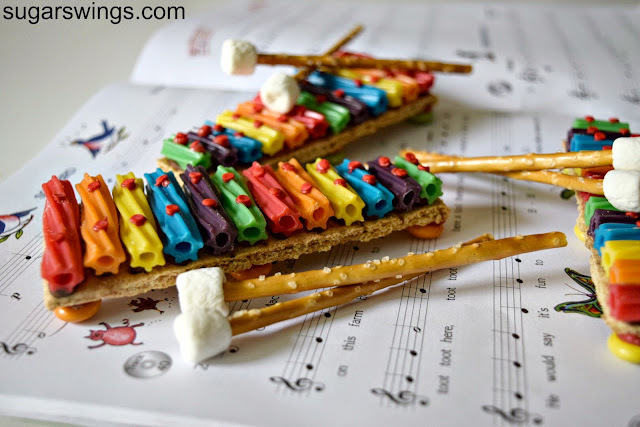 We still have one of those little kid play xylophones laying in the toy box so we thought why not make some edible ones to "play". 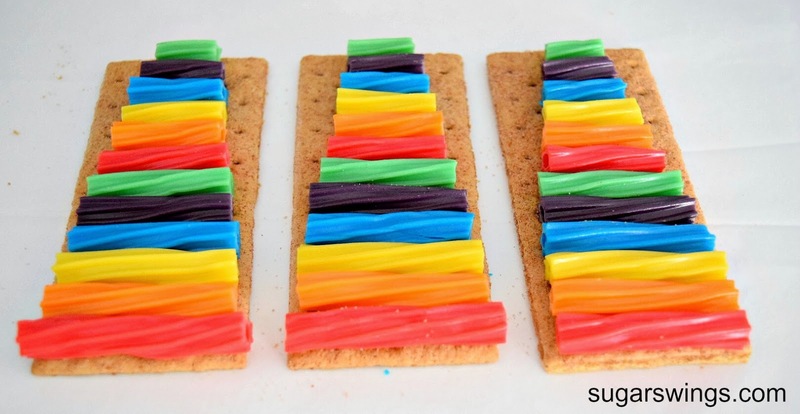 Start with some graham crackers. 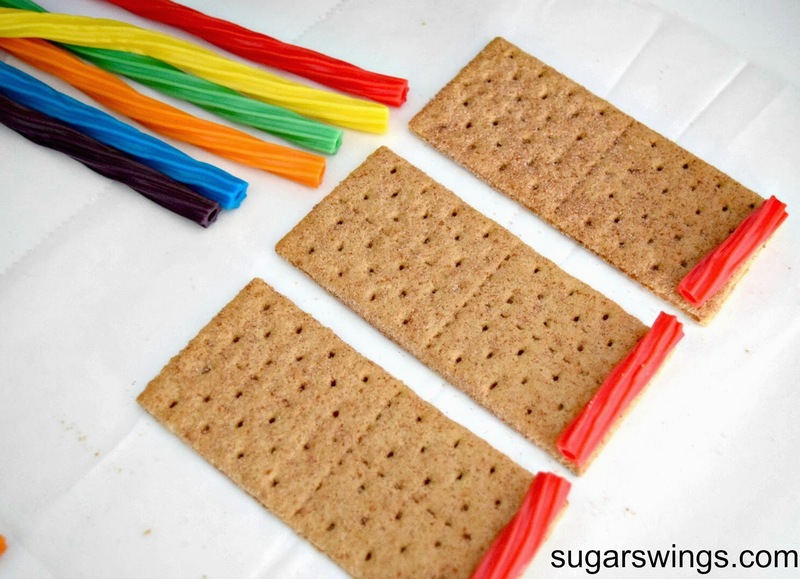 Cut the Twizzlers in descending size and alternate the colors to fit the cracker. You can attach them with some melted chocolate. Once attached, cut off the excess graham cracker with a sharp knife. 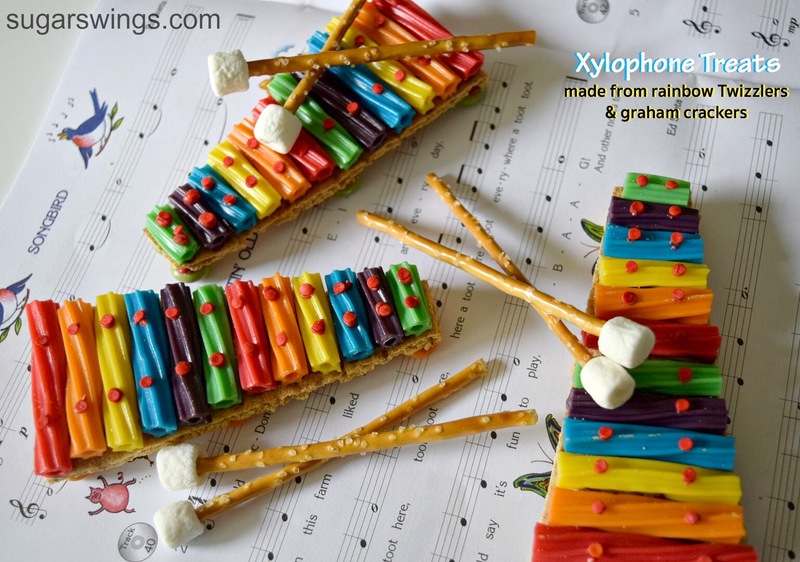 For more details, add red round sprinkles on top and use m and m's on the bottom to raise the xylophones up a bit. The mallets are made from pretzel sticks with a mini marshmallow as the top. So simple! 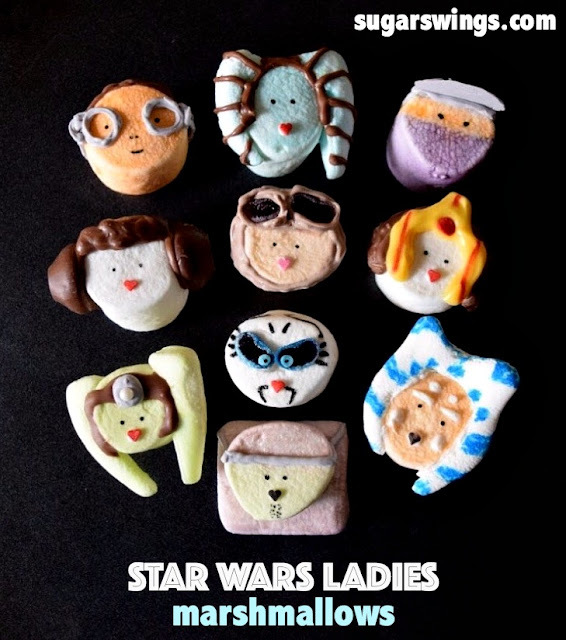 Before you eat them, play them! Remembering all those who have given their lives for our country this Memorial Day weekend. 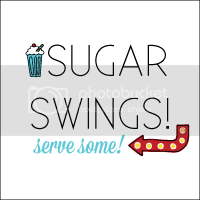 I cannot tell you how much I LOVE this!!! 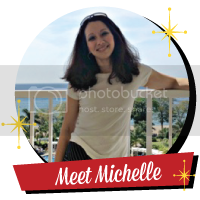 Way to go Michelle and kids! This is just too clever!!! I love it. 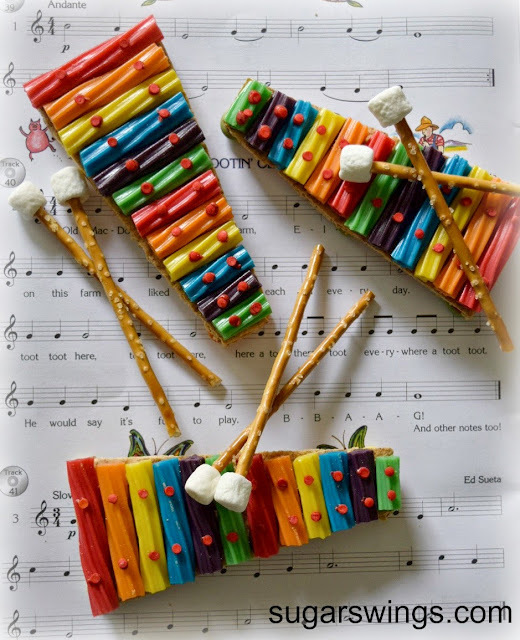 These would be so much fun to bring as a school treat for music class. thanks again! Love your enthusiasm!! lol! SO cute! 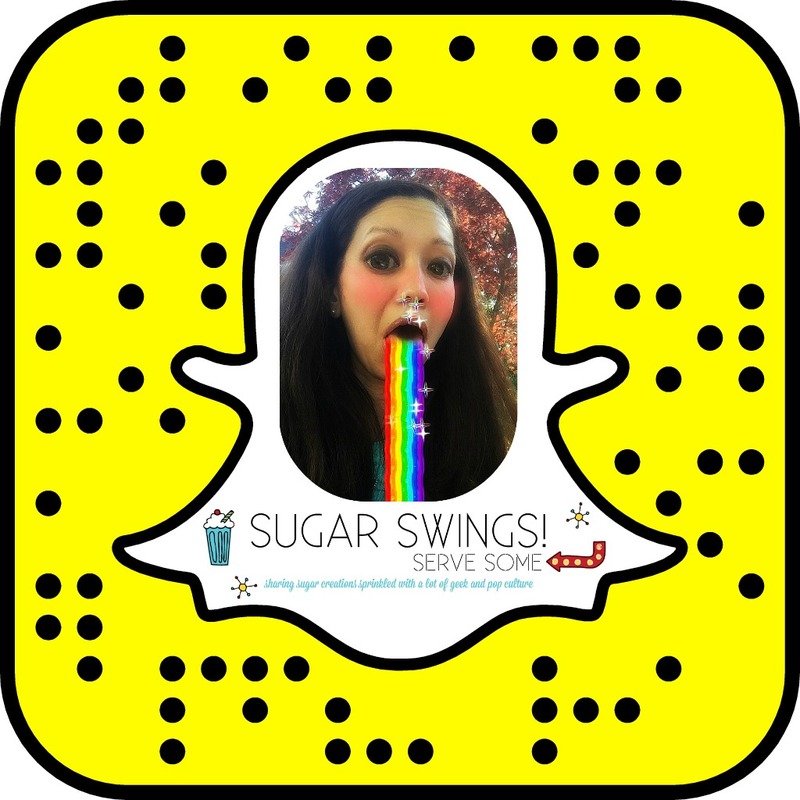 Pinning to my rainbow party board! Thanks for sharing them Lisa! so cute! Now I'm hungry again. Ha, Jenifer that happens to me a lot! These Avengers Popsicles are so fun!